Keep us in mind while you shop online. 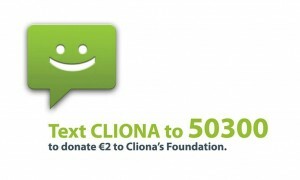 By simply downloading the Helpfreely App or registering online at www.helpfreely.org you can raise funds for Cliona’s Foundation while shopping at one of 300 partner shops in Ireland. You simply carry out your shopping through Helpfreely.org and when prompted at the checkout select Cliona’s Foundation as your chosen charity. We will automatically receive a percentage of your purchase from the participating stores. Just two extra clicks can go a long way and it won’t cost you a cent extra to make a difference with your purchases. A small gesture can mean so much!